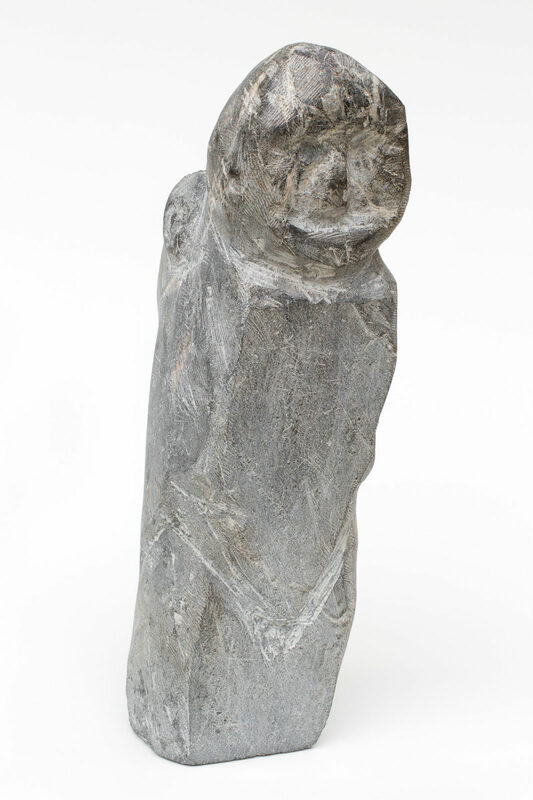 untitled (totem image), c. 1979, stone, 17.5 x 6.5 x 4.75 in. 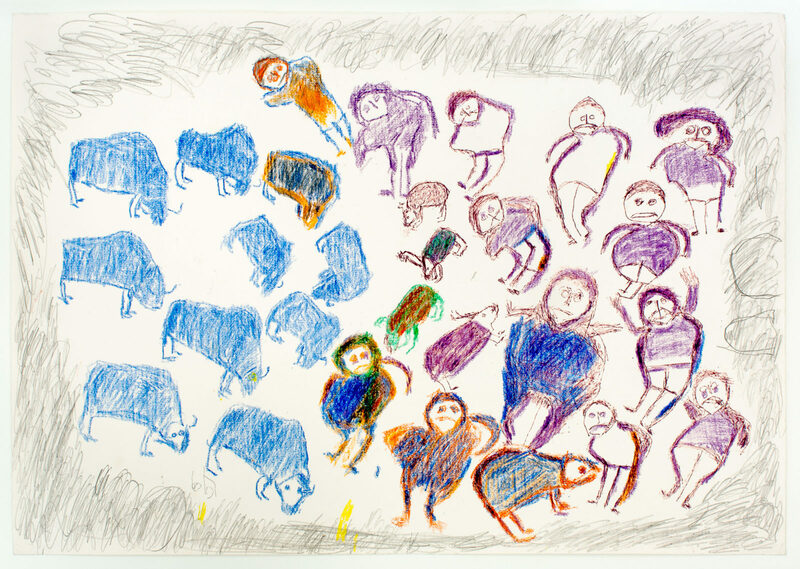 untitled (people animals on the land), color pencil and pencil, color pencil and pencil, paper, 20.75 x 29.75 in. 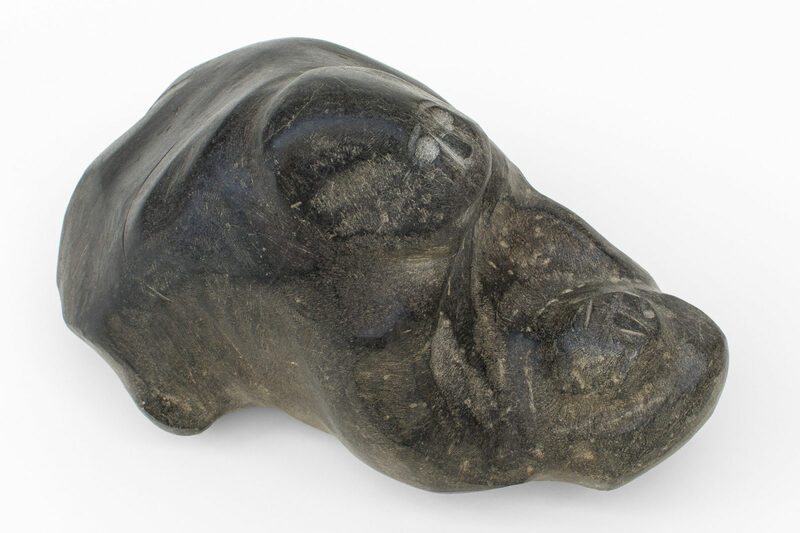 untitled (animal), 1976, stone, 7.5 x 4.5 x 2.75 in. 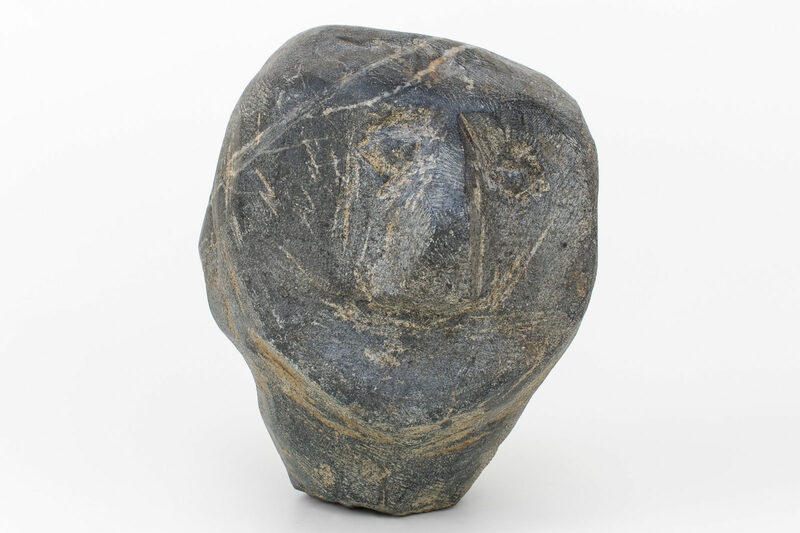 untitled (head), c. 1972, stone, 9 x 7.5 x 4.75 in. 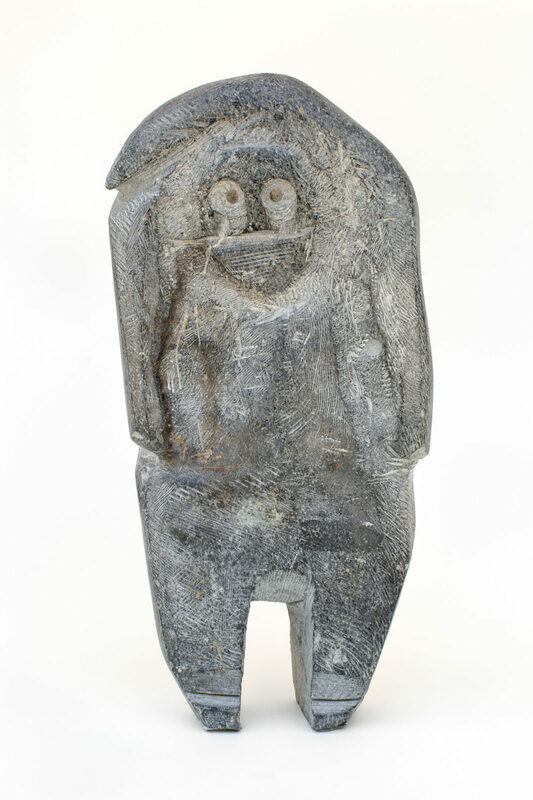 untitled (mother and child), 1979, stone, 23 x 6.75 x 9.75 in. 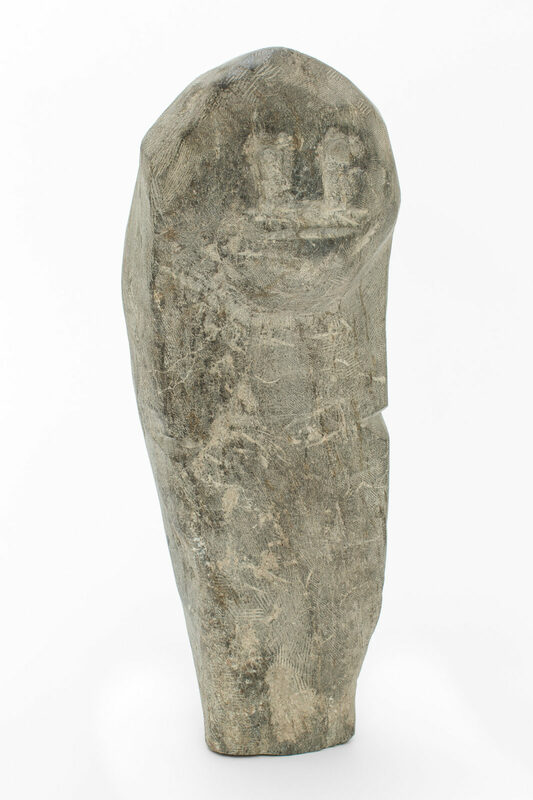 untitled (mother and child), 1975, stone, 12.5 x 7 x 3.25 in. 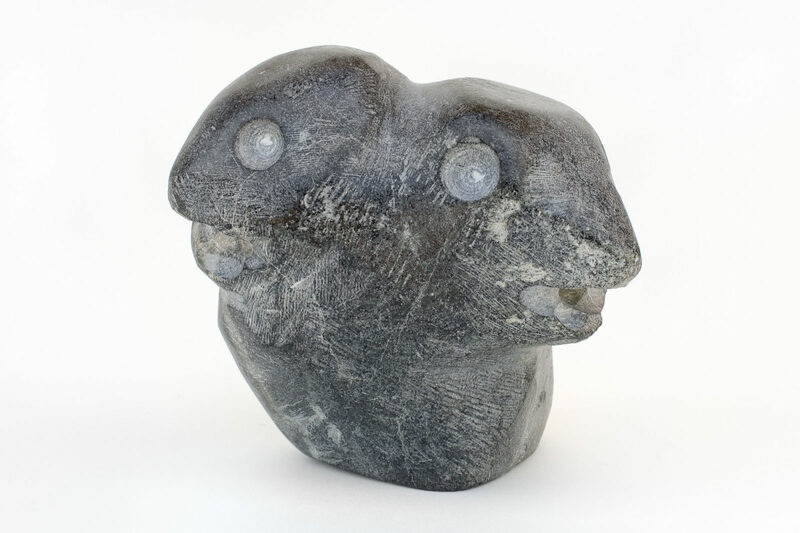 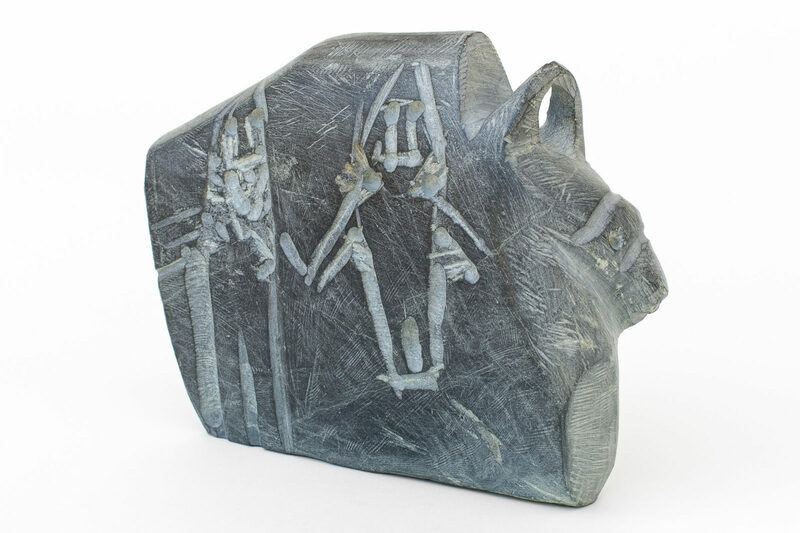 untitled (muskox with human figures), 1975, stone, 8 x 5.75 x 2.5 in. 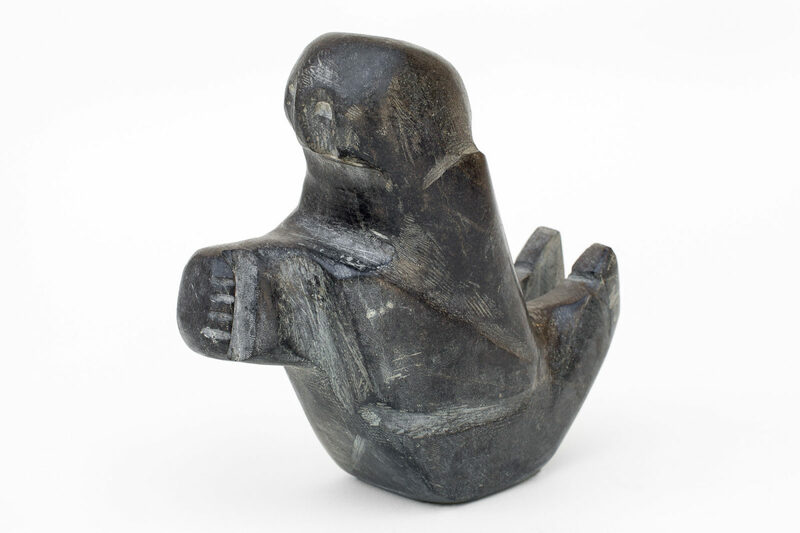 untitled (bird), 1978, stone, 8.25 x 3.5 x 3.5 in. 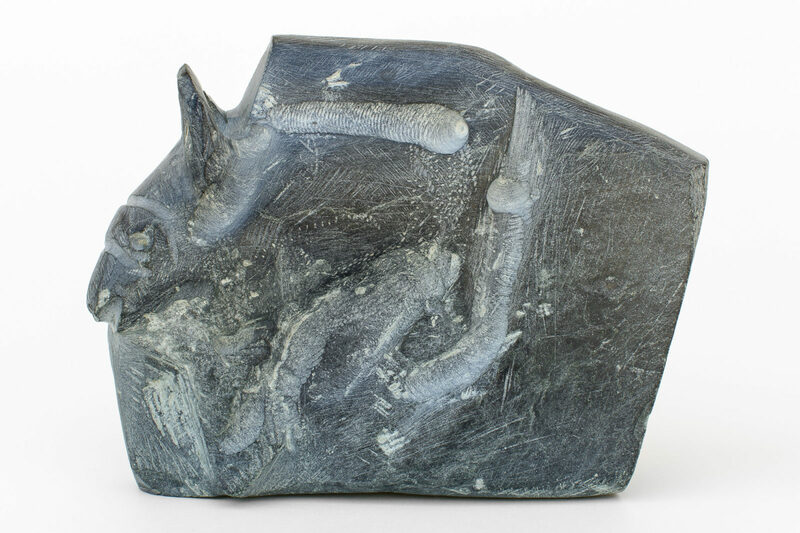 untitled (birds), c. 1975, basalt, 4.5 x 5 x 3.5 in. 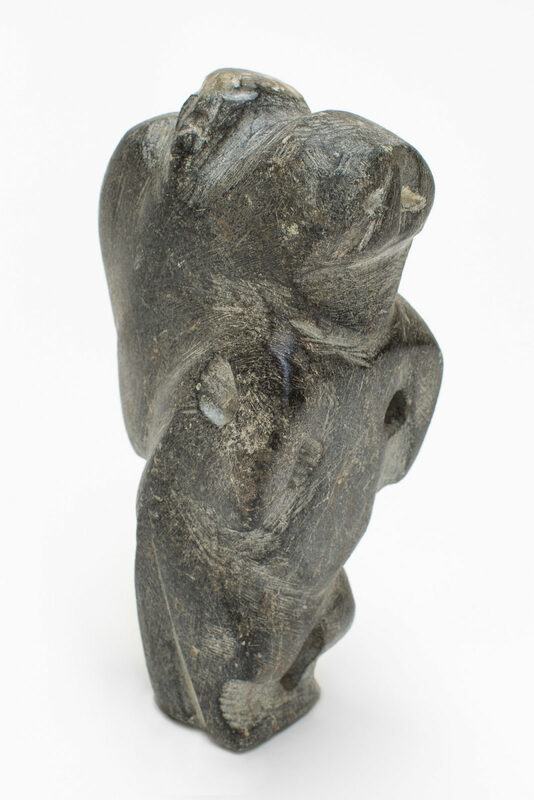 untitled (mother holding child), c. 1976, steatite, 7.5 x 8 x 12.5 in. 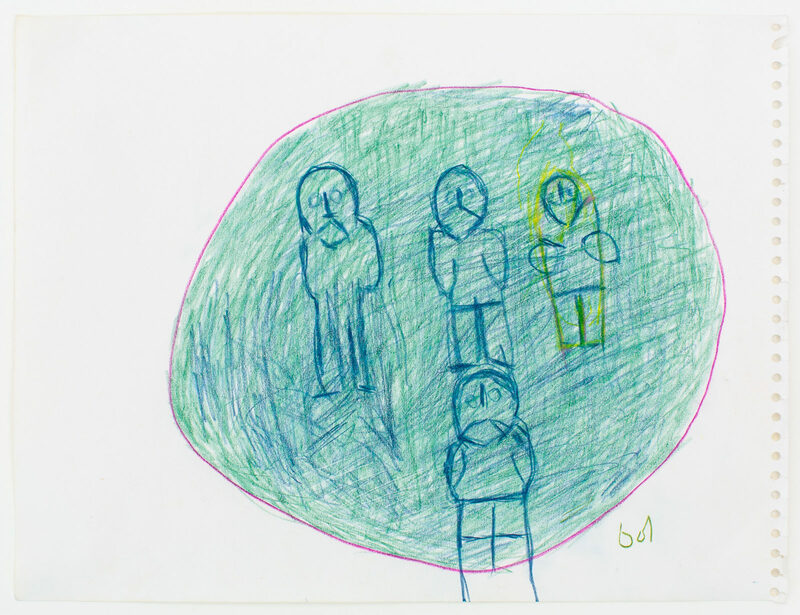 untitled (figures in circle), 1979-80, color pencil, 9.5 x 12.5 in. 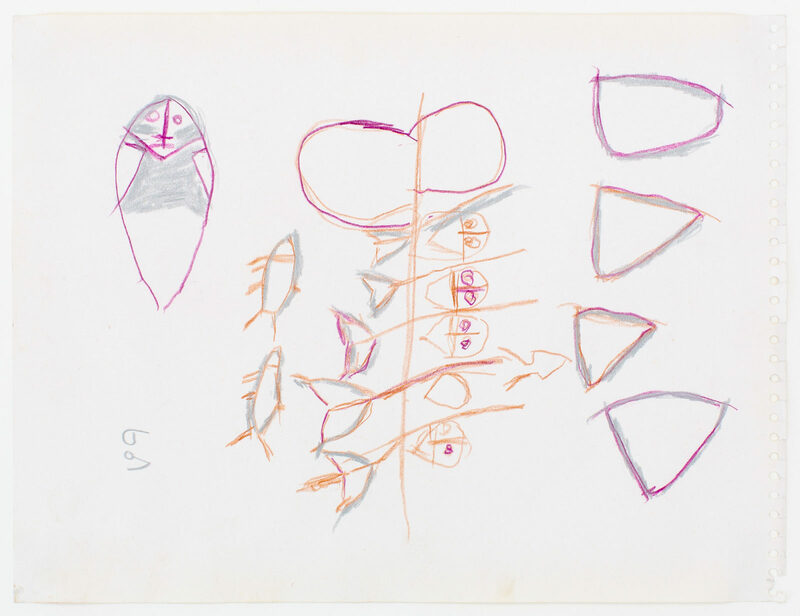 untitled (fishing scene with tents), 1979-80, color pencil, 9.5 x 12.5 in. 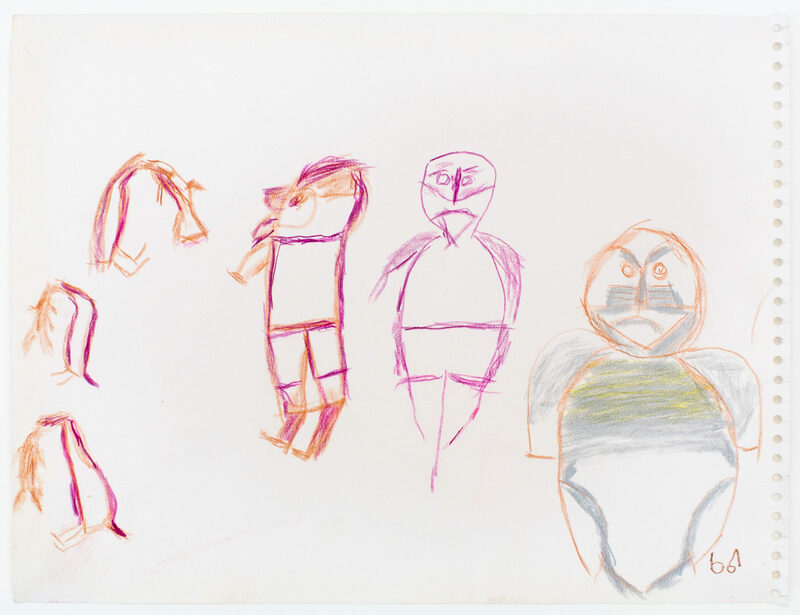 untitled (three figures and three gulls), 1979-80, color pencil, paper, 9.5 x 12.5 in. 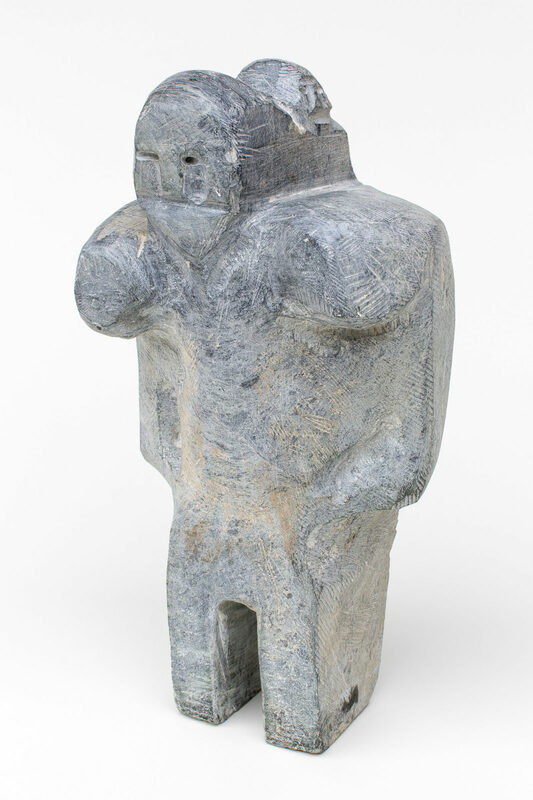 untitled (with animal on back), 1979, 1979, 12.25 x 6.5 x 4.5 in. 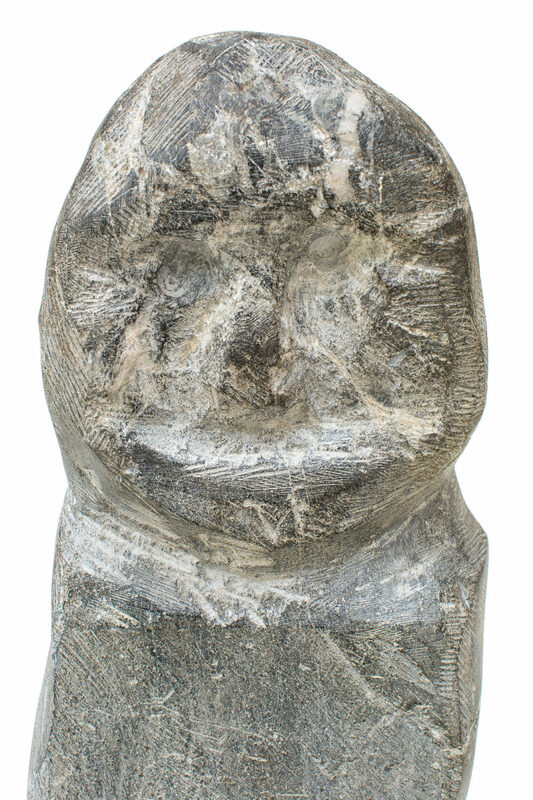 untitled (woman), 1977, stone, 10.5 x 5 x 2 in. 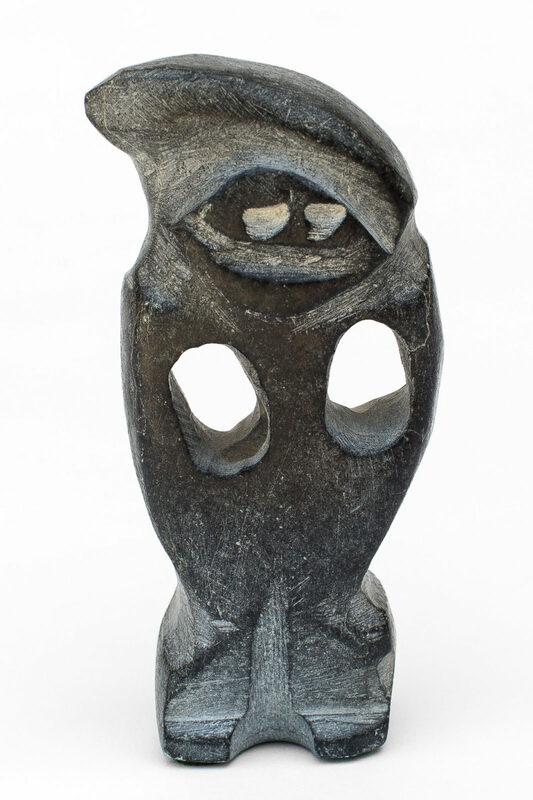 untitled (swimmer), c. 1960's, stone, 6.5 x 7 x 2.25 in. 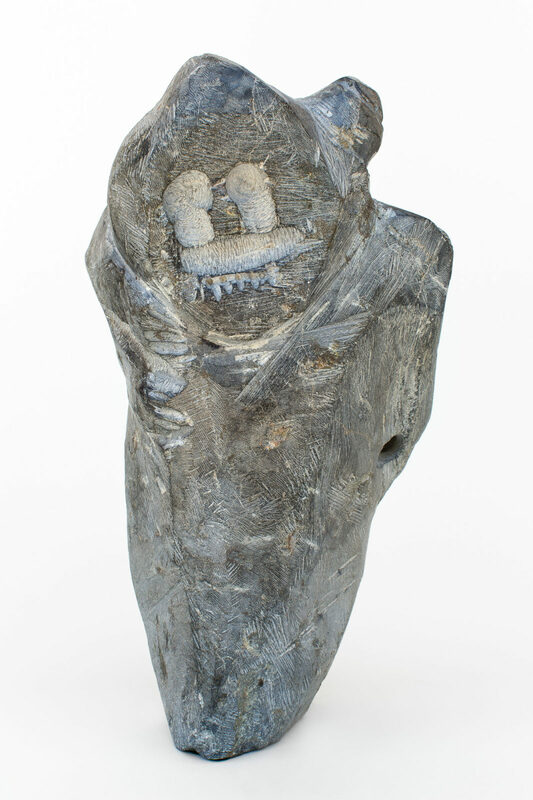 untitled (mother and child), c. mid 1980s, stone, 12 x 5 x 4 in. 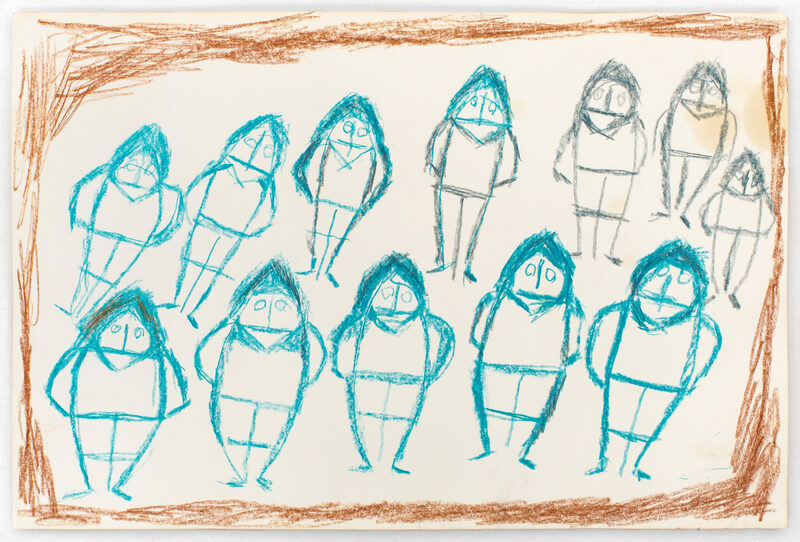 untitled (people), color pencil, paper, 18 x 12 in. 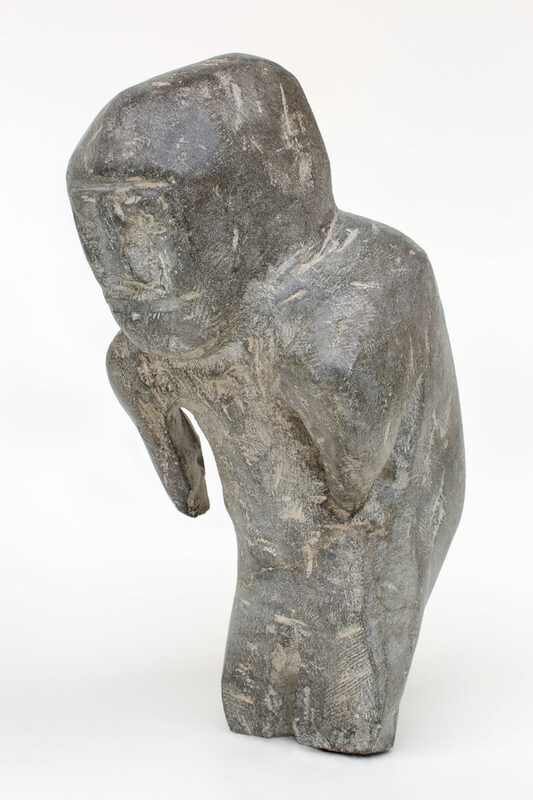 untitled (leaning figure), 1978, stone, 14.5 x 7 x 7 in. 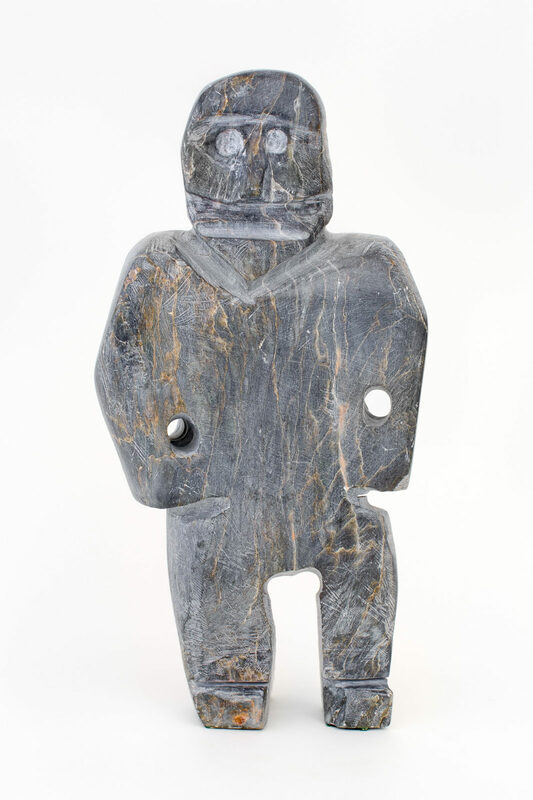 untitled (inuk), stone, 5 x 2.25 x 1.25 in. 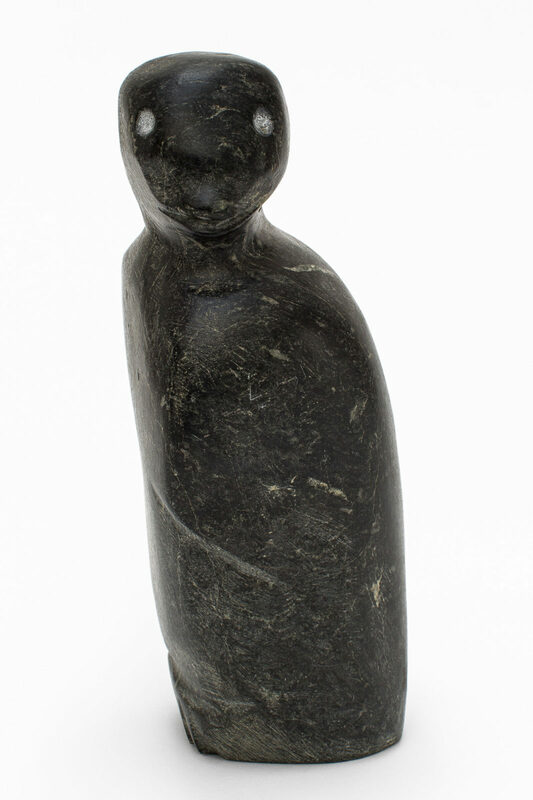 untitled (mother and child), stone, 5.5 x 2.75 x 3 in. 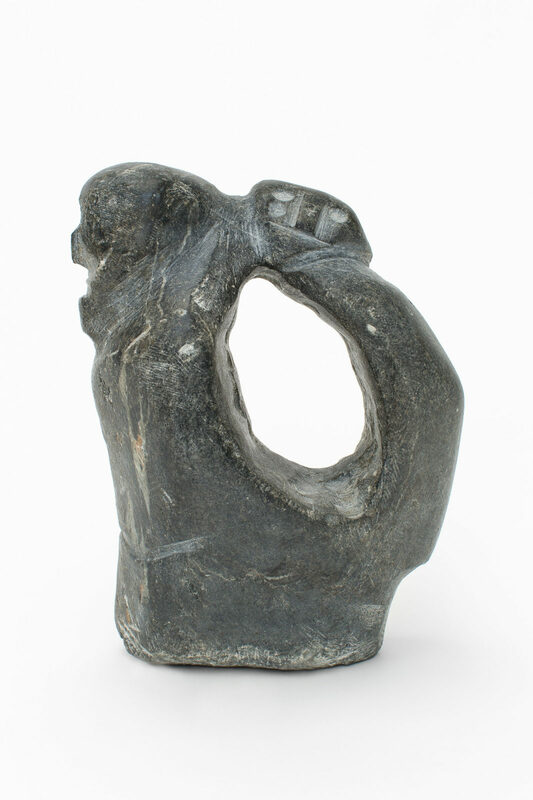 untitled (mother and child), c. 1979, stone, 7.25 x 3.5 x 5.5 in. 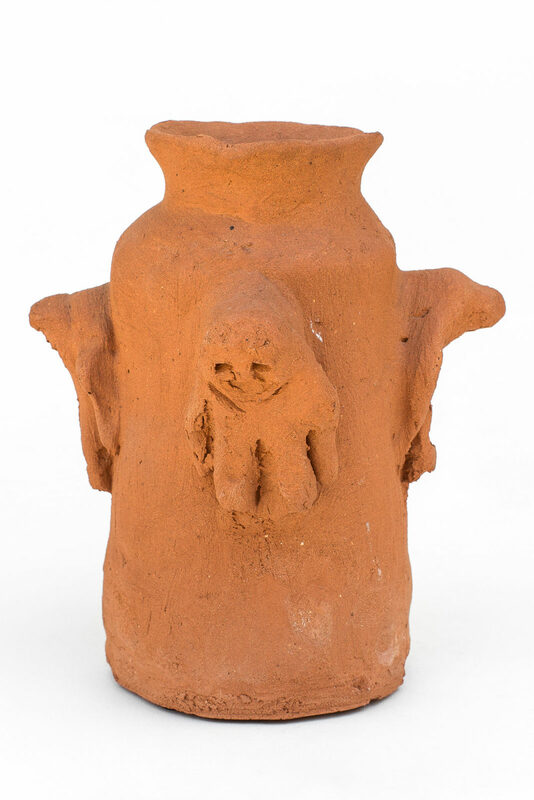 untitled (with four figures), c. 1970, ceramic, 6.75 x 5.75 x 5.75 in. 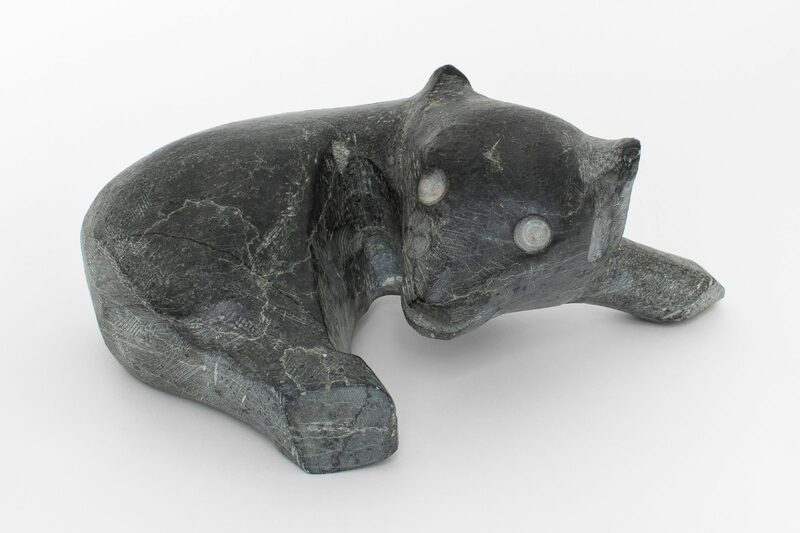 untitled (inuk), stone, 10.5 in. 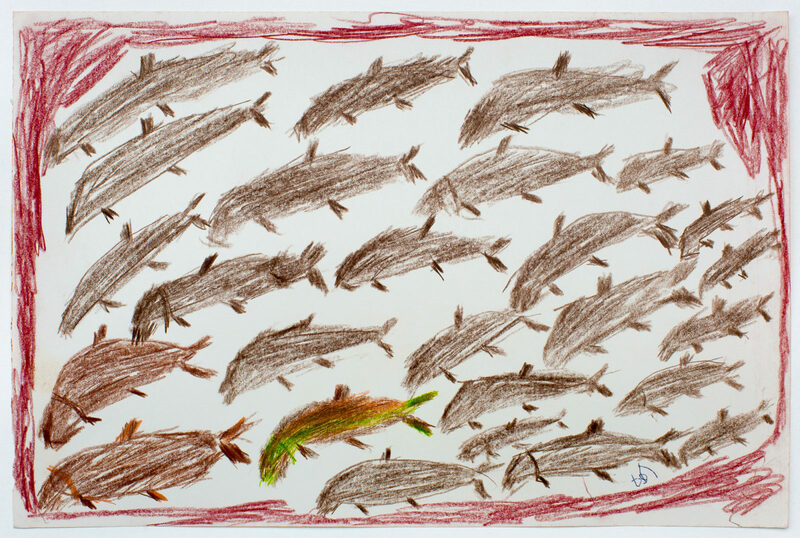 untitled (many fish), 1980, color pencil, paper, 12 x 18 in. 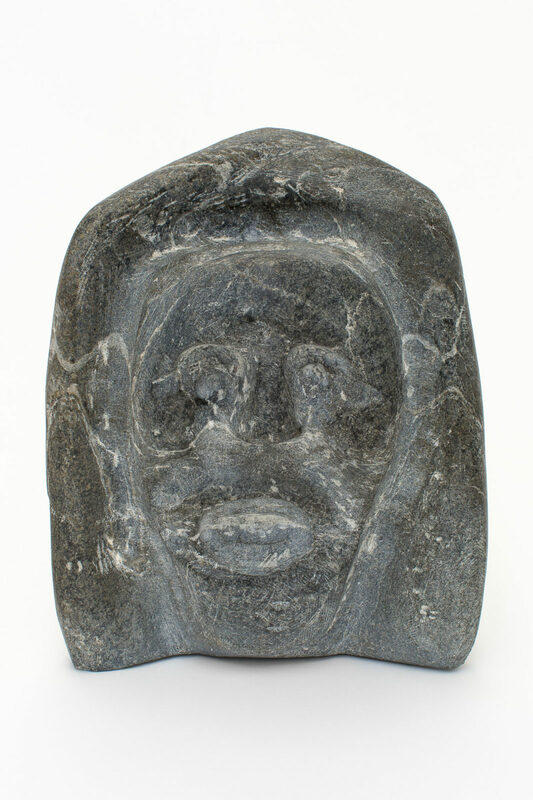 untitled (head), c. 1980's, basalt, 8.75 x 6.5 x 6.25 in. "Kavik…is one of the most original of Eskimo artists, and he always works the way the spirit moves him. 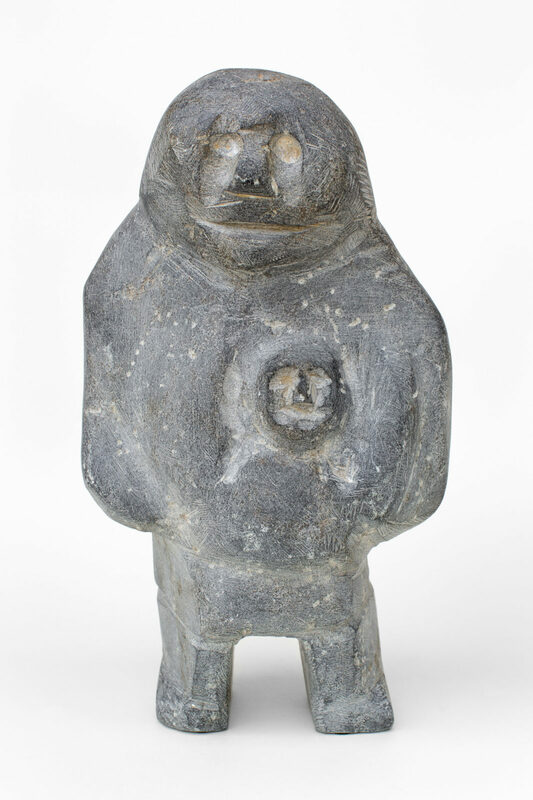 He works steadily and 'professionally,' his objects are made for sale, but this does not detract from his art. He makes things well, imaginatively and ingeniously. 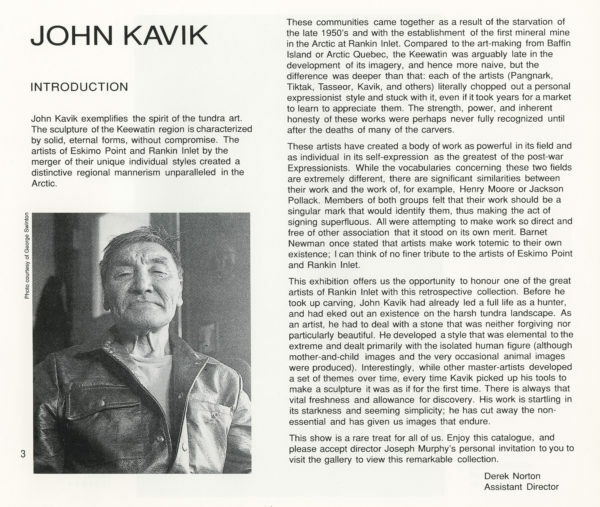 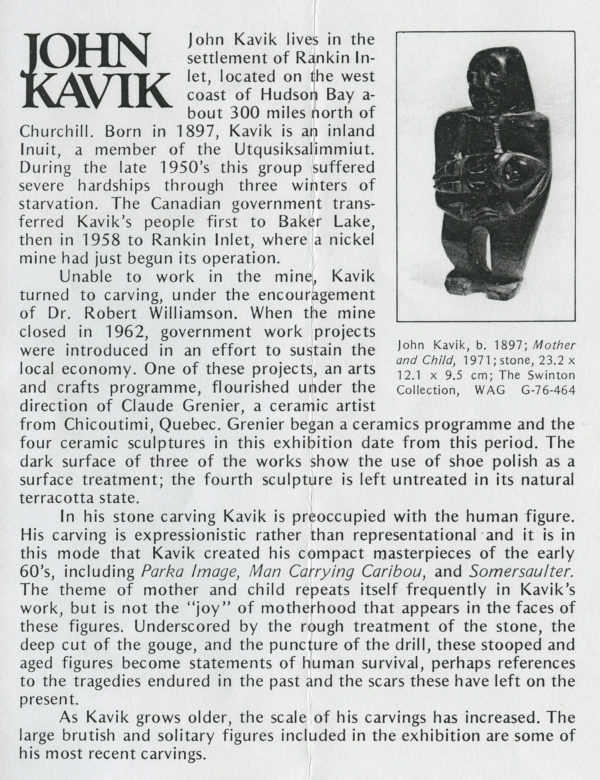 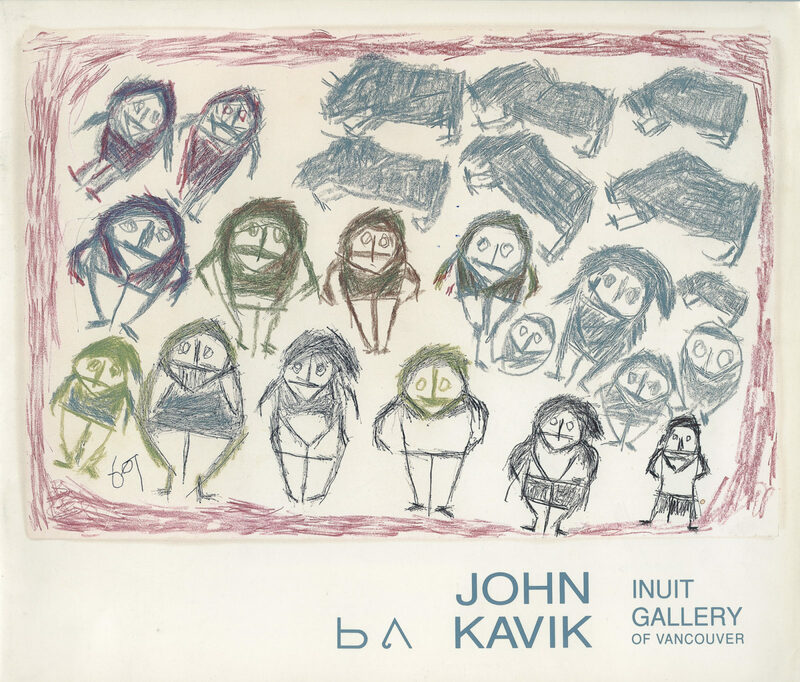 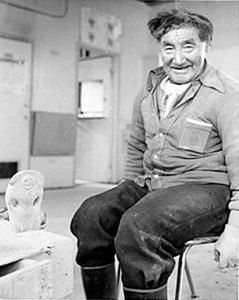 He is a real artist... All of Kavik's carvings are inventions and discoveries of images and activities; they have balance without having bases; they are ingenious without being gimmicky; they are works of art and love."